As per the reports which have published yesterday, Motorola is planning to release the future smartphone with the name Motorola Moto M with the model no XT1663. This model was recently run through the GFXBench a couple of weeks ago. As per the results, judging from the specs, this might be considered as a compact version of the Moto version in the year 2016. 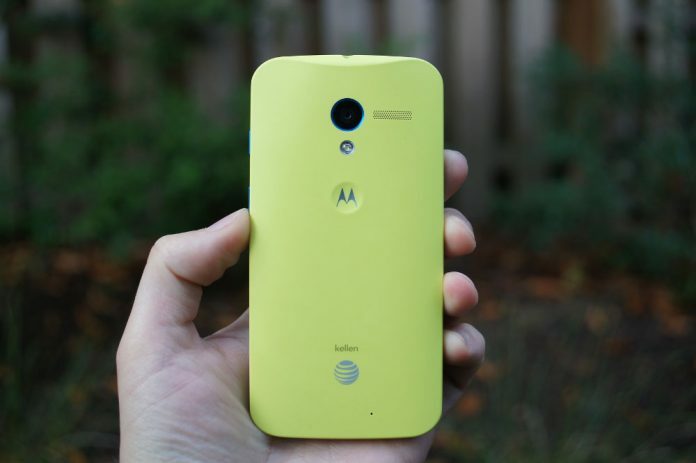 Few of the analysts are saying that this device will go with the design with the smartphones in 2014 Moto line up. Considering the report from the GFXBench data, Motorola Moto M is featured with the 4.6-inch screen with 1080 x 1920 resolution. The device is expected to come with the MediaTek MT6750 chipset carrying with the octa-core 1.9GHz CPU and Mali-T860 GPU. The phone is sported with the 3GB of RAM, and the native storage of this smartphone is with 32GB, and it might be expandable with the external SD card. The primary camera comes with the 16 Megapixel on rear-end and the 8 Megapixel in the front facing camera which is helpful in capturing the stunning selfies and quality video hangouts. The phone runs with the Pre-installed Android 6.0 Marshmallow. One of the best thing to notice in this handset is, it is featured with the fingerprint sensor on rear-end. Sources mentioned that this fingerprint sensor is engraved in the Motorola batwings button. 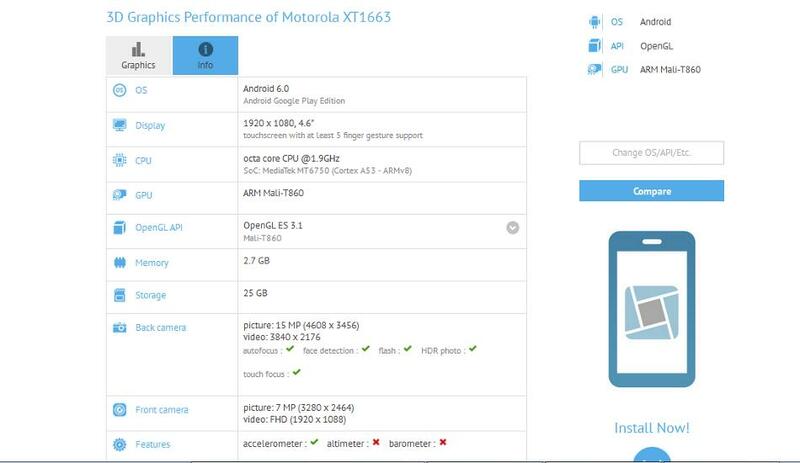 The interesting thing is that this device XT1662 went through the GFXBench with the similar specs in the month of June. The key differences were noticed and powered by the MediaTek MT6755 SoC with the octa-core 2.1GHz CPU on the board. This smartphone Motorola Moto M is expected to arrive in the market later this year.